Hmmm - I do have a 14 year old who loves Pirates of the Caribbean, likes fantasy, and isn't into romance yet. I'll have to keep this one in mind. I've actually never been a Lackey fan. I went through a bit of a phase with her Companions series, but I've always found her worldbuilding a bit light. That is a very interesting cover! Great review! I need to read this asap!!! thanks for the great review, i love the cover! Her none Valdemar books tend to be hit or miss for me. I like a few of them, and I'm pretty sure this wouldn't be one of them. 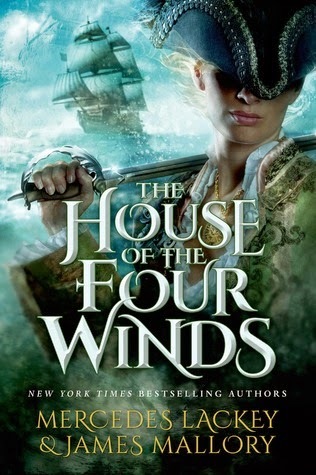 I like the cover and I don't think I have outgrown swashbuckling reads as yet, so I think I'd like this book.